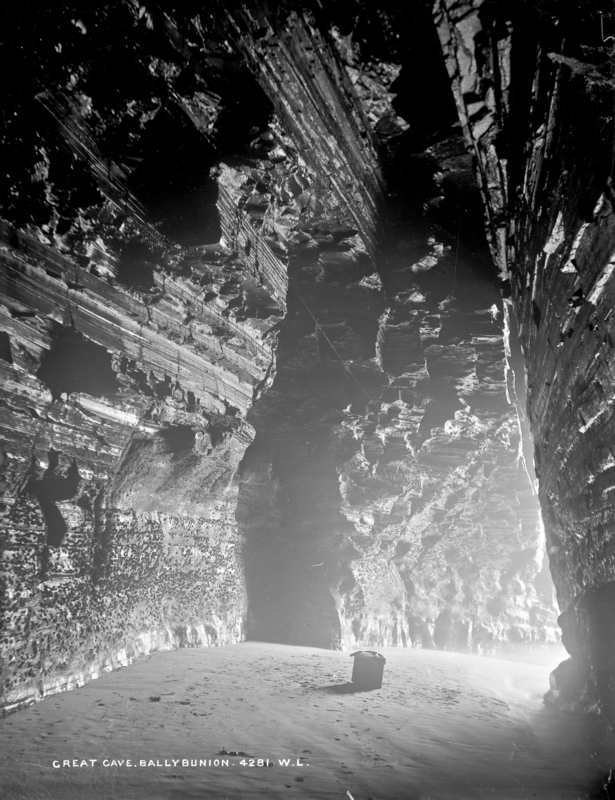 Having lugged his "Royal" camera down to the beach, Mr. French persisted and took this unusual shot of the light entering a cave at Ballybunion in County Kerry. Unusual for a number of reasons - not least of which clearly he is experimenting in low light photography and has done remarkably well for the facilities and equipment he had available. Many a time I walked through it a low tide. I wonder if he put the camera box there for scale? Odd, since the general public would not know how big it was. So dark a forethought rolled about his brain, As on a dull day in an ocean cave, The blind wave feeling round his long sea-hall In silence.